First, I wanted to share real quick about the Holiday Bake, Sew, & Craft Along that is finishing up over at According to Kelly, Skip to My Lou, and A Southern Fairytale. I was honored to be able to share two past tutorials (baby quilt blocks and the hoop earrings). One for the sew along and one for the craft along. If you are itching to start working on Christmas presents and all, I suggest seeing all the amazing tutorials/recipes that they have to share. Now, time to share some things you have made with H.T. tutorials/patterns! 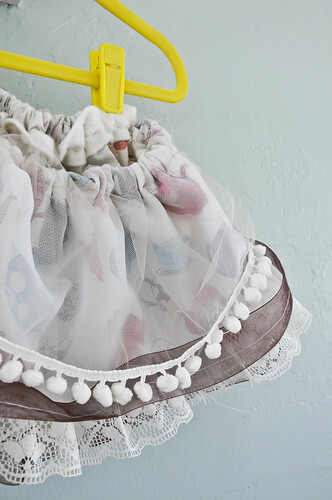 How gorgeous is this Tea Time dress up skirt? Made by Stacia from 365 Days to Clean, Lean, and Green. Tutorial found here. 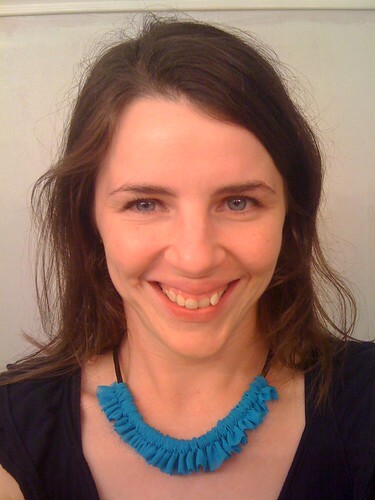 Gorgeous Anthropologiefied flower necklace by anotherdayforever on Flickr. 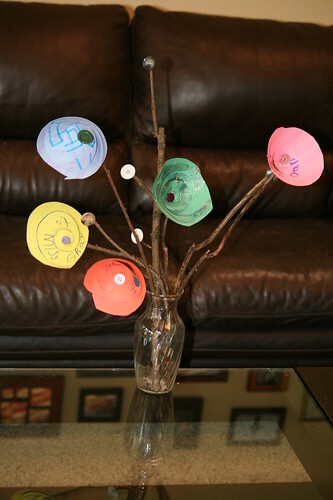 Lovely bouquet made for child’s teacher by eternal_exemption on Flickr. Inspired by the Mother’s Day Flowers made with my daughter’s artwork. 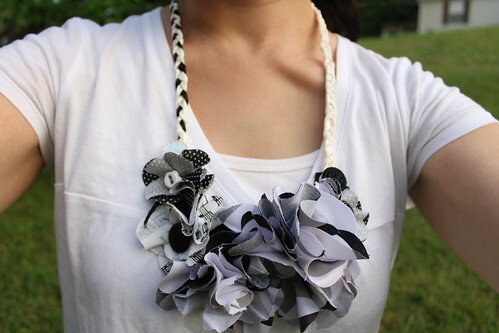 And, lastly, look at these beautiful ruffle necklaces! Did you make something using a Happy Together Tutorial? Add your picture to the Flickr group. Please make sure it is sharable for a chance to be In the Spotlight. Also, please add your blog if you have one. great post! & i love that tea-time skirt. i know a few little girls that would love something like that. yay! I want a ruffle necklace! Looks like i’m going to have to make a trip to the craft store to get some fabric to make my own.